lime Archives - What the Forks for Dinner? Mojito is a traditional Cuban highball. Mojito’s are a cocktail that consists of five ingredients: white rum, sugar, lime juice, soda water, and mint. 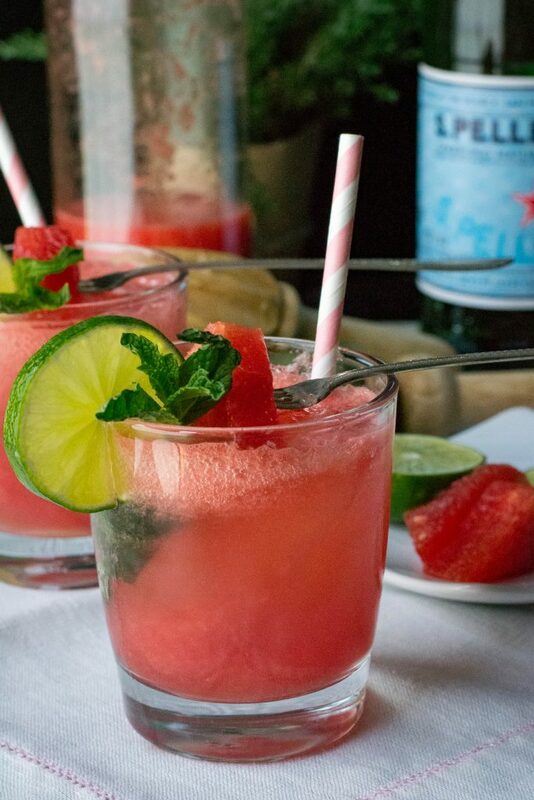 Well….Tim and I don’t drink so, Watermelon Mock-jito. Perfect summer highball for those who do not partake! It’s been a long time since Tim or I have had a real cocktail…..almost 15 years for Tim and 9 years for me. We by no means regret our choice, but sometimes we would like something other than water or coffee. Pureed watermelon, with a touch of lime and sugar, (a great way to use left over watermelon) poured over muddled mint leaves and ice. If you don’t know what or how to muddle, check out the kitchn for a great tutorial. Short version….it’s mushed up stuff. 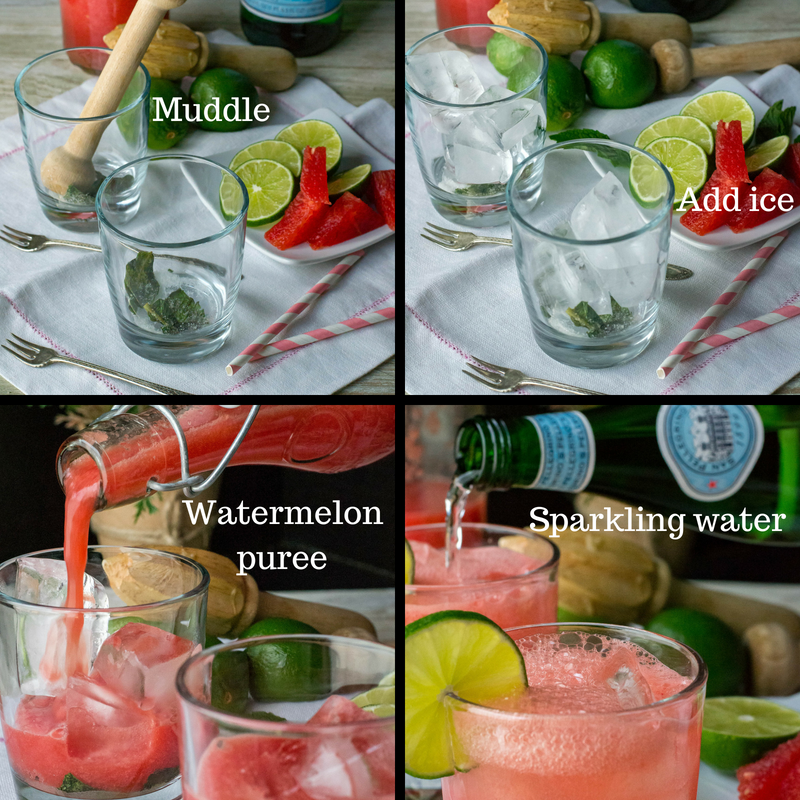 Top the watermelon mixture with sparkling water. My fav is San Pellegrino. When I first quit drinking, this was my go to in the summer, with a little raspberry lemonade. Light carbonation, full of minerals, crisp, and refreshing, if you want to know more about this Italian sparkling water, the folks at Delish have the skinny, just click the link. 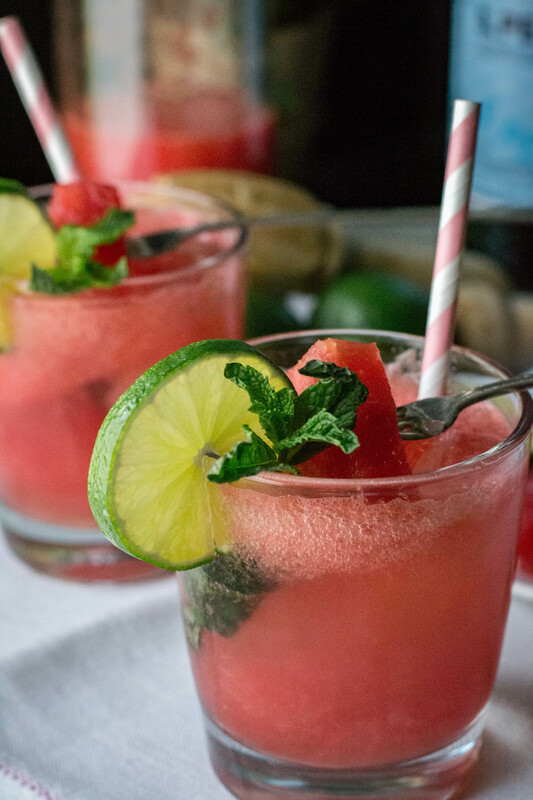 Garnish with lime slices, mint leaves, and watermelon if you desire. 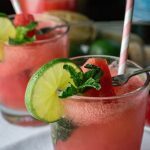 Watermelon Mock-jito a refreshing, sweet, light summer drink that is the answer to a drink, for those who don’t drink. 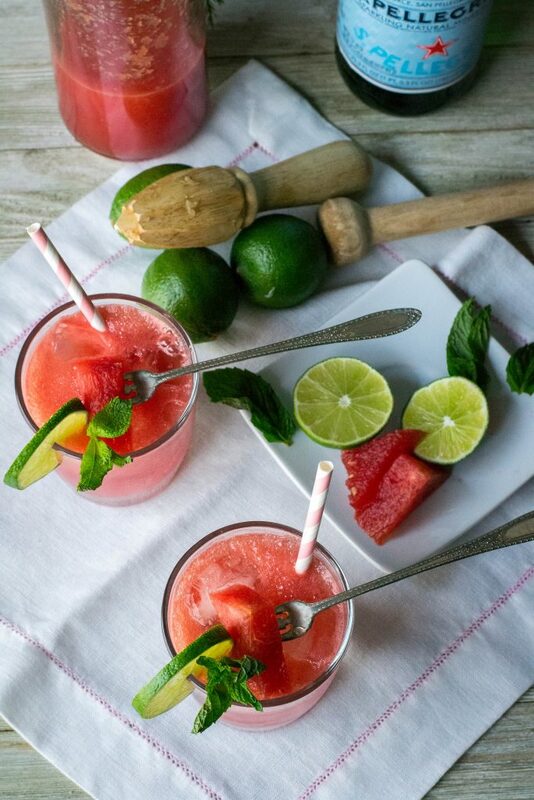 Place watermelon, juice of 1 lime and 1 teaspoon sugar in a blender and blend until smooth. Set aside. In the bottom of each glass, muddle 2 mint leaves with 1/2 teaspoon sugar. Pour watermelon puree over ice filling each glass about half full. Add in watermelon puree, filling about 1/2 full. 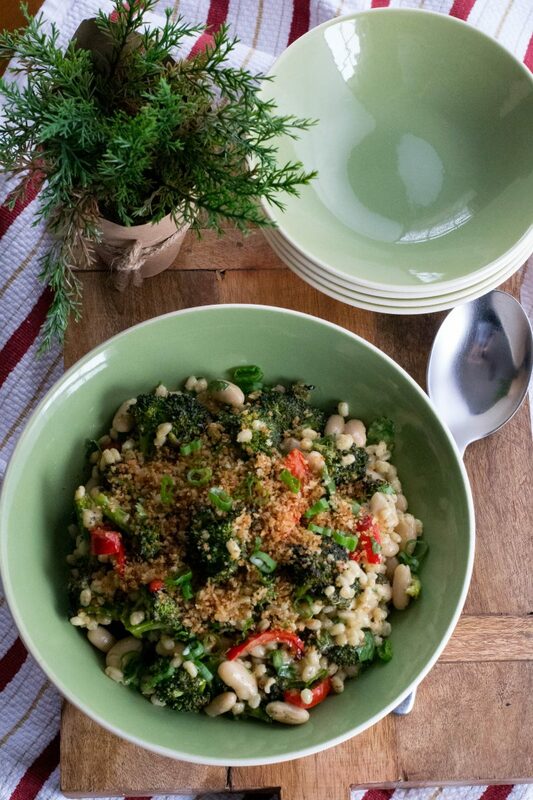 Sweet corn season is here!!! Yeah!!! 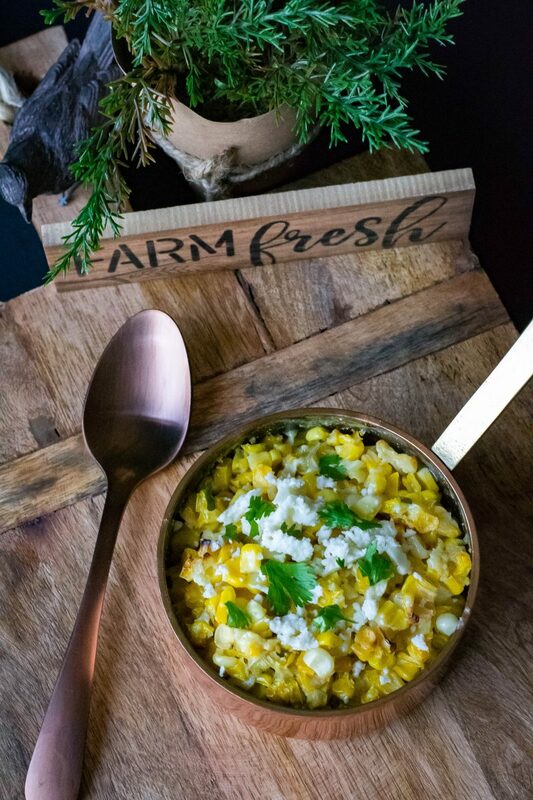 Cheesy Street Corn Casserole is our first sweet corn dish of the season. We will surely have many more!! 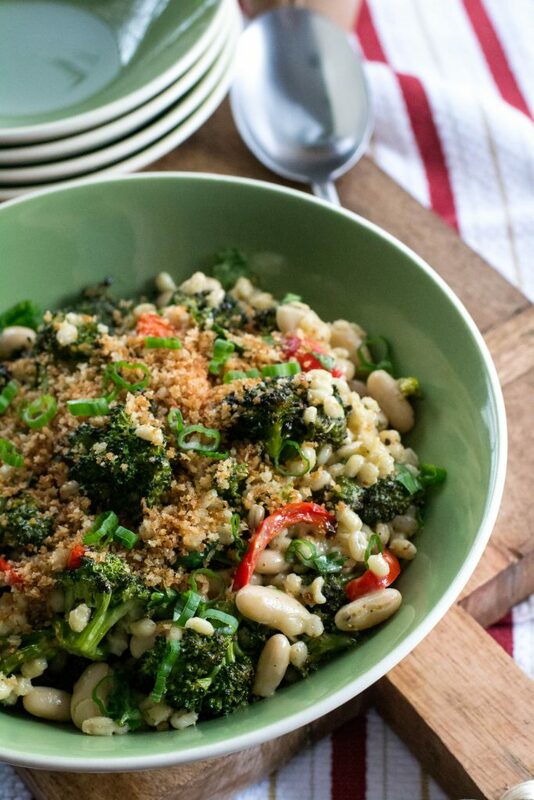 Sweet corn is my all time most fav veggie. 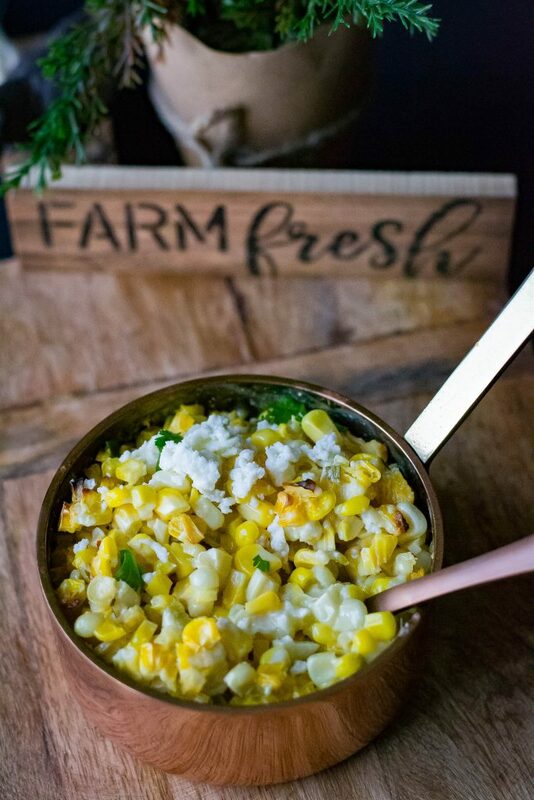 Spicy Fresh Corn Relish, Confetti Maple Bacon Sweet Corn, and Corn Chowder, are just a few of our recipes for those glorious ears of bi-colored sweetness. Did I mention I love sweet corn? ?